This is the kind of picture that, if you don’t live in the midwest, you might think anyone in Nebraska, Kansas, or Oklahoma could take any time they wanted to. 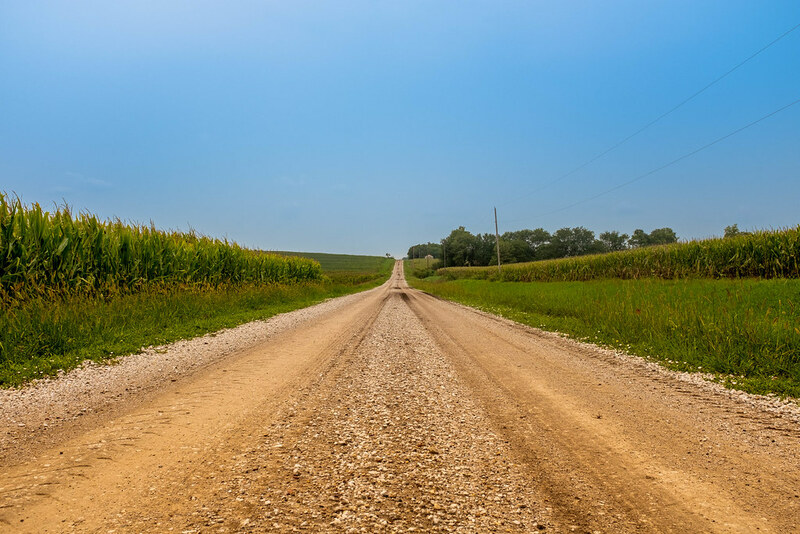 After all what could be more emblematic of the Great Plains than a dirt road, corn fields, and an endless blue sky? Interestingly, scenes like this are not actually all that common here and most of the time a picture like this would also include farm houses, silos, tractors, barns, or even buildings and cities on the horizon. You’ll also notice that the scene here isn’t exactly flat either. Rather it’s a slow undulation of earth that feels casual, homely, and downright comfortable. I shot this with my Fuji X100F which is great for many different purposes but perhaps not quite ideal for landscapes as you can see here. A wider lens would have been nice but alas, the Fuji is stuck firmly at 23mm (unless you have a wide-angle adapter, which I do not) and as such I had to make the best out of what I had available. The bigger questions for me when taking this shot were what angle do I shoot at, what height do I position the camera, and how far down the road do I travel? Truth be told I didn’t really consider the final issue that much since I just wanted to get on with my trip (Highway 75 is about 1/4 mile behind me in this shot) but I did take a handful of shots at different angles and positions before getting one I was really happy with. Just got my Fuji X-T100. I am enjoying it immensely! Great pick. Love the way the road leads my eyes! You’re going to love that X-T100, Lisa! This brought back many memories! I’ve been down that road many times. Well, not that exact road, but one of the many in the mid-west that look exactly like that! I can hear the gravel crunch beneath the tires and hear the corn rustling in the breeze. I noticed the tractor tire tread marks on the side of the road. Dust trailing behind our car. Thanks for the journey down memory lane.